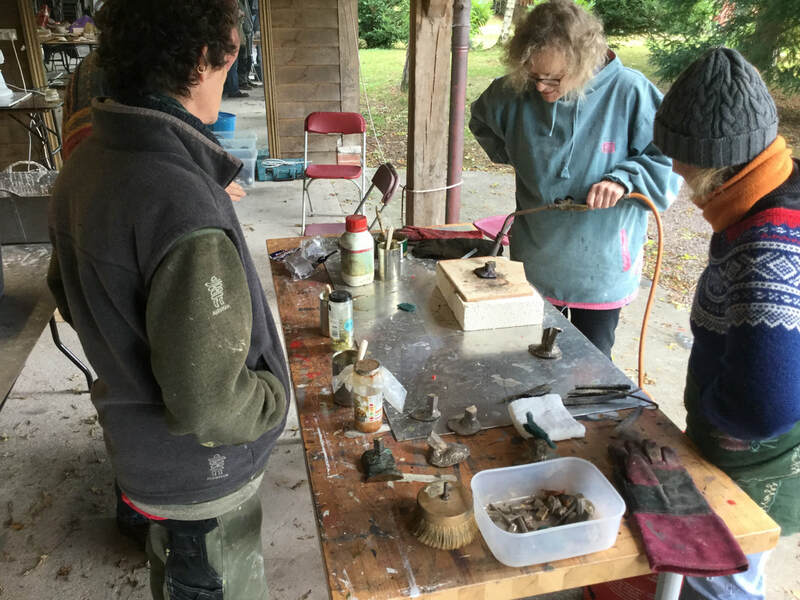 For 2018 we will be trying something new and in addition to the 6 day intensive course we will also be running an ongoing series of workshops covering all aspects of wax working and bronze casting. This new format will allow us to take more time developing sculptural ideas and techniques and consider finishing and presentation. It will also mean that sections can be repeated if necessary and students will have the opportunity to develop more than one piece of work and explore more experimental ways of working. More details to follow shortly, but please feel free to register interest in the meantime. 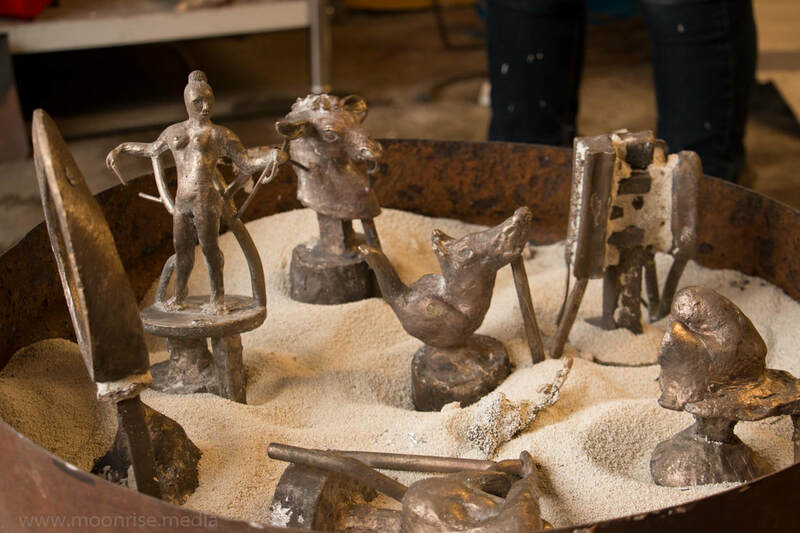 Design, sculpt and finish your own bronze sculpture – no previous experience needed. 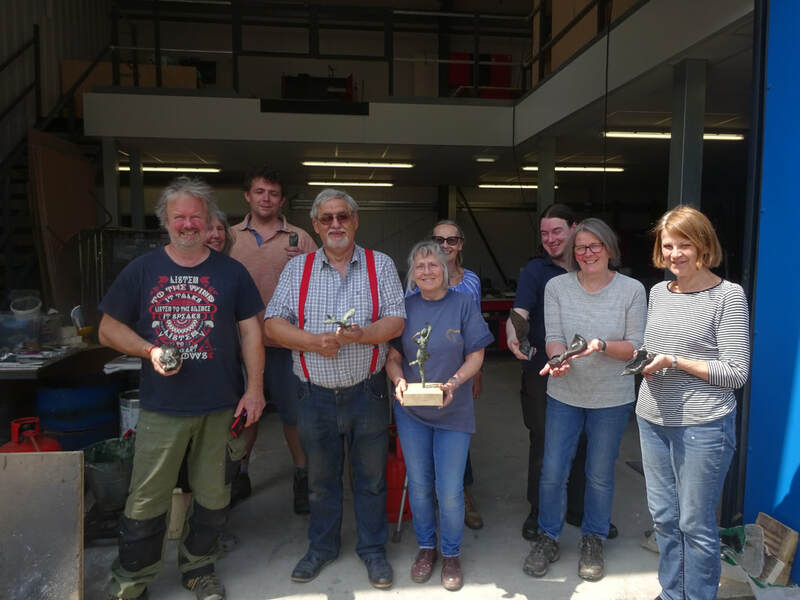 To date attendees have included Art students, professional artists and people who unfairly described themselves as having no “artistic ability” but were fascinated by the process of making bronzes and wanted to have a go. 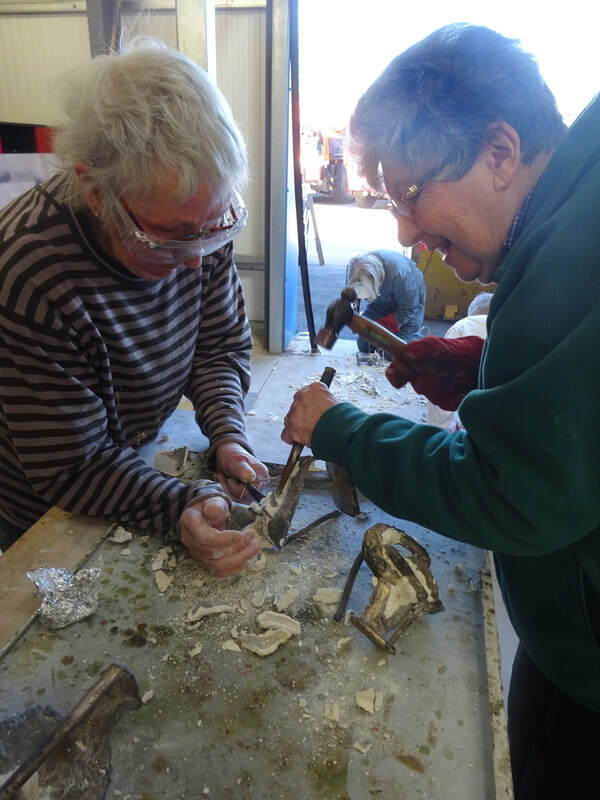 The course is suitable for anyone over 18 and our oldest delegate so far has been 80; all without exception have been amazed by their results and many have subsequently continued working in Bronze. Whilst the whole process working through wax to bronze is complicated, each individual step is simple and manageable and not physically arduous. 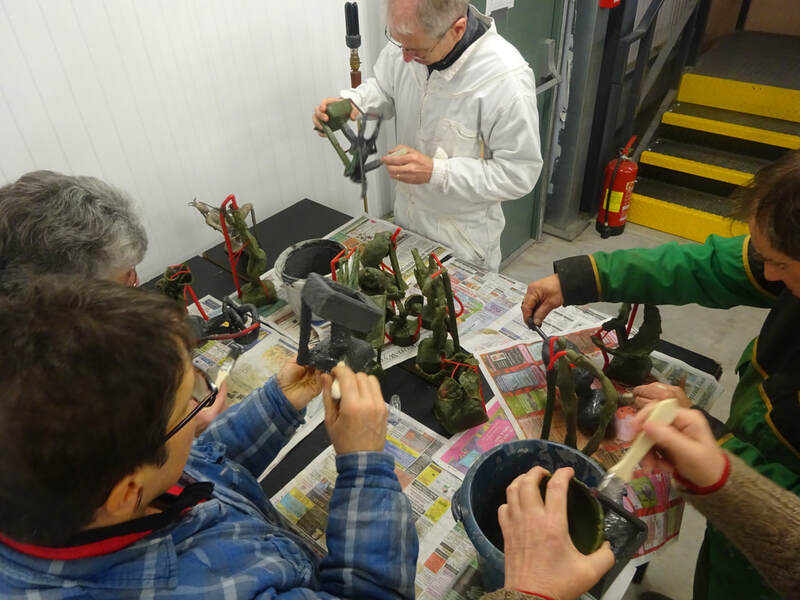 We start working directly with wax, (think plasticine or clay only much more fun ! ) to make our sculptures. Sculptures are then developed into a pouring system that is then encased in a ceramic shell. 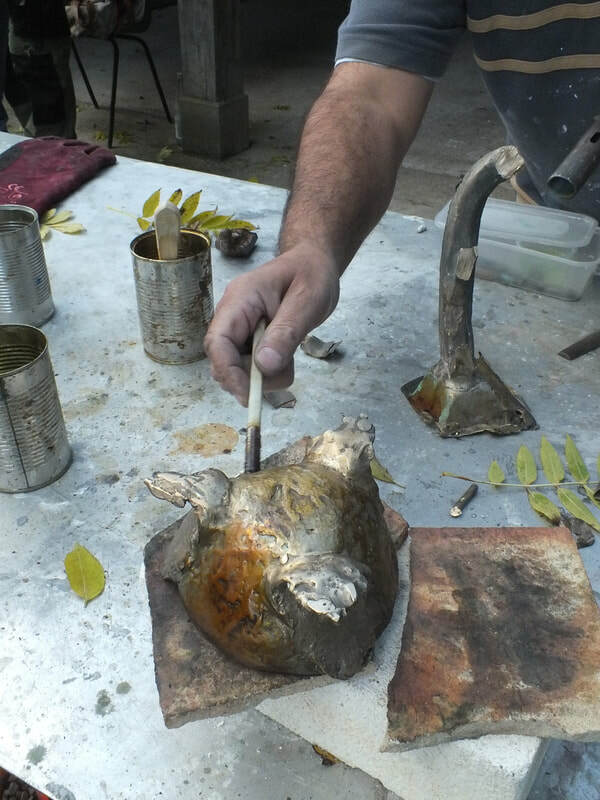 The wax is then burnt out of the ceramic shells and replaced with molten bronze. Once cool the sculptures are broken out of the shells and cut free from the running system ( using hammers, chisels and power tools under supervision or by technician if preferred). 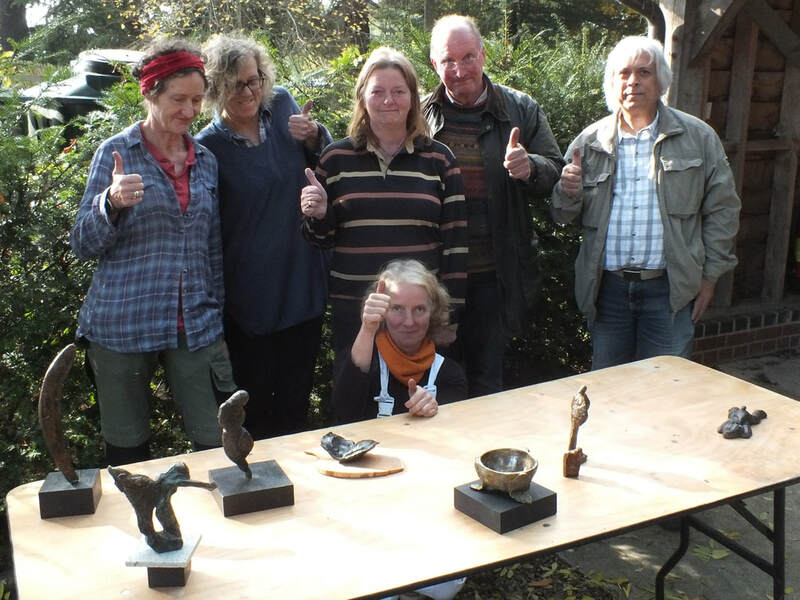 Sculptures are then cleaned and prepared for patinating and waxing on the final day.